The Allred opened as a movie theater in 1916, under the name of the Lyric Theater. 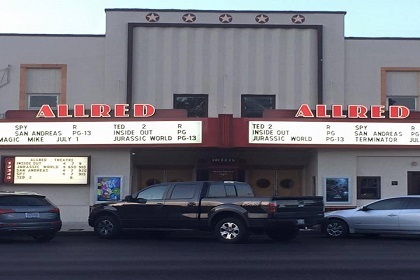 ​The Allred, which is located in the center of Pryor's historic downtown, on Main Street, is one of the few theaters in Oklahoma that has continually shown movies for a century or more. ​The building combines original Deco exterior and interior design with state-of-the-art technology, including digital HD and 3-D screening rooms.